Our friend Jay Morse from Forelinksters writes about golf opportunities in Death Valley. The above image was my idea of what golf in Death Valley would look like. After all the Furnace Creek Inn & Ranch Resort is in the middle of Death Valley National Park, California, 120 miles northwest of Las Vegas, and 275 miles northeast of LA. The resort has two hotels – a- four diamond, 66 room Furnace Creek Inn, and a more moderately priced Furnace Creek Ranch. 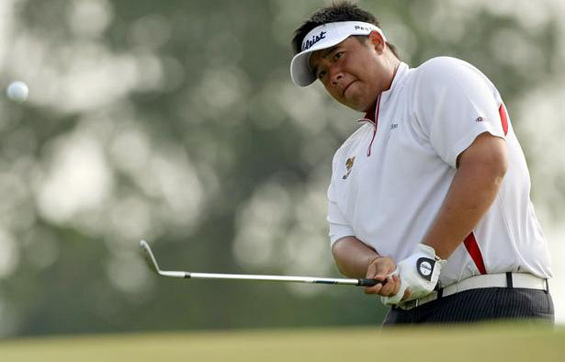 Kiradech Aphibarnat is an up and coming youngster from Thailand. They call him the Asian John Daly, not for his appetite but because of his hitting style. Kiradech has had a noteworthy amateur career. He won twice at the Junior World Championships, finished runner-up in the 2007 Southeast Asian Games and the same at the 2007 Putra Cup. Kiradech, 21, turned professional in 2008. Before turning pro, Kiradech, a Buddhist, changed his name from Anujit Hirunratanakorn to Kiradech Aphibarnrat, though majority of people know him as Arm. He is currently ranked 149th in the world and first in the scoring average on the Asian Tour. He won the 2011 SAIL Open, an Asian Tour event earlier this year. Gerry McIlroy received yesterday the best Father’s Day gift he could have ever hoped as Rory McIlroy became the youngest U.S. Open Champion since Bobby Jones in 1923. “Happy Father’s Day dad, this one’s for you. But I have to mention my mum as well, who’s back home watching. I can’t thank them enough” were the first words from the newly crowned 22 year old champion. It was great to see that Rory McIlroy was able to overcome his mishap at the Masters and was in a perfect physical and mental shape. 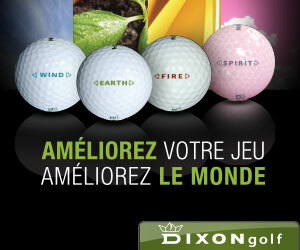 Nick Delio is a well accomplished amateur golfer from Valencia, California. Nick finished this collegiate career at California State University Northridge with a 71.48 scoring average last month. With this solid performance this year, Nick earned a spot on the 2011 PING All-West Region team as well as the Big West Conference player of the year title. He will be representing USA at the World University Game tin August in Shenzen, China. Lifting the US Open Championship trophy is one of the crowning achievements in golf and no player has won the title more than four times. Its tight fairways; unforgiving rough and glass-like greens make it a stern test of the abilities of any golfer in the world. Read below about the five incredible US Open Championship winners who have triumphed and defeated a field of the world’s finest golfers in a variety of testing conditions at this historic event. Cherry Hills Country Club witnessed one of the greatest final rounds in golfing history when Arnold Palmer, teed off in the final round in 15th place, seven shots behind leader Mike Souchak. Arnie produced arguably the most perfect final round of golf in US Open history. His final round 64 saw him finish four under par, overtaking golfers like Jack Nicklaus and Ben Hogan, and snatching the title by two shots for his only US Open victory. The Open – The 2nd Annual Léman Events Golf Open! 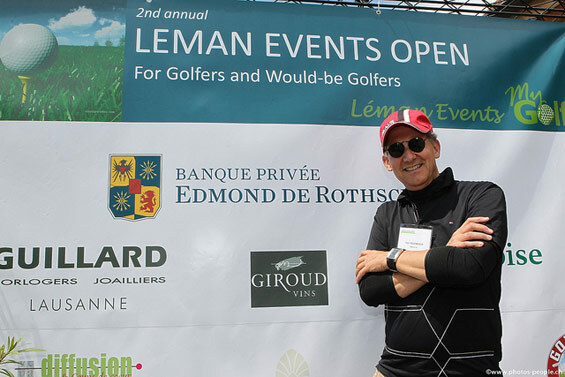 The 2nd Annual Léman Events Golf Open was held on a June 4, 2011, in sunny Switzerland at the Vuissens Golf Club. 135 participants and friends enjoyed a delicious barbeque after 80 players competed for wonderful prizes and 30 initiates tried their hand at the great game of golf, many for the first time ever. Since pictures speak louder than words, please go to our Flickr gallery where over 480 photographs will enthral you. The pictures were taken by our stalward photographer Philippe Jung, owner and operator of Photo-People. The event was organized by Mygolf SA and Léman Events in favor of the Just for Smiles Foundation. The main sponsors were Banque Edmond de Rothschild, Vaudoises Assurances and Guillard Jewellers. The other sponsors can be found on www.lemanevents.ch. May not be the Big Open – but for the players, initiates and friends, it might have even been better!